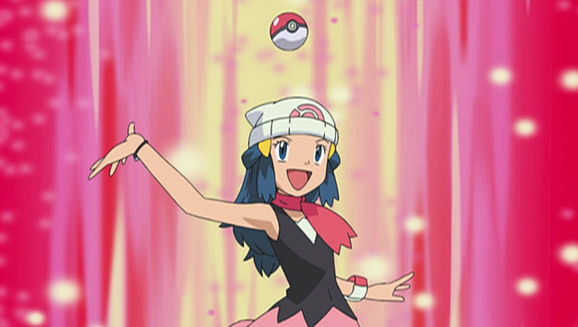 Dawn plans to use some new Pokémon Ping-Pong tricks in the Sandalstraw Contest, where she hopes to earn her fifth ribbon. Of course, her friend Kenny wants to win and tie Dawn at four ribbons each! As Dawn and Ambipom practice for the Contest, Dawn's Mamoswine sits on the sidelines and pretends to be bored—but it can't resist interfering with the practice session. Dawn's not upset; she knows Mamoswine just wants to be in the Contest. But this Contest is Ambipom's time to shine. 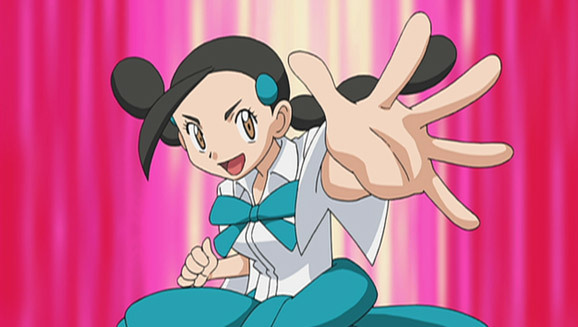 As the appeals round begins, Jessie (disguised as "Jessilina") shows off Mime Jr.'s Teeter Dance, and Kenny has his Machoke work its muscles. 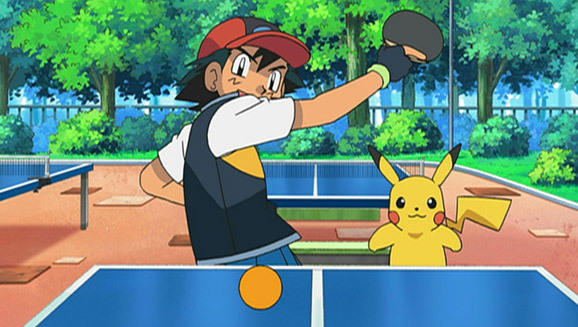 Then Dawn's Ambipom uses its double tails to execute ping-pong moves, earning Dawn a place in the second round with Jessie and Kenny. As Dawn waits for the second round to start, Kenny comes over to continue their friendly rivalry. He wants to battle Dawn in the final round, and neither Coordinator plans to lose this one! 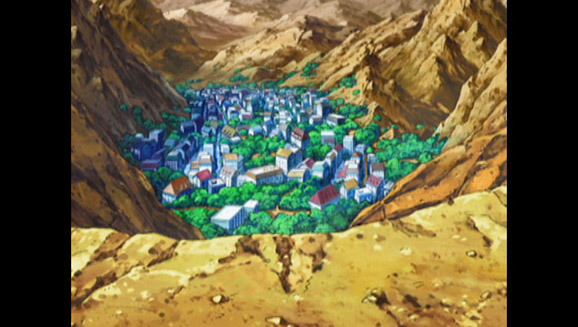 Sure enough, Dawn and Ambipom manage to defeat Jessie and Seviper in the semifinal battle, which means Kenny is Dawn's final opponent. Over in the spectator seats, Ash's rival Barry is excited to see his first Contest, and Mamoswine is glued to the action too—but it still pretends it's too cool to care! The final round match pits Dawn's Ambipom against Kenny's Prinplup. 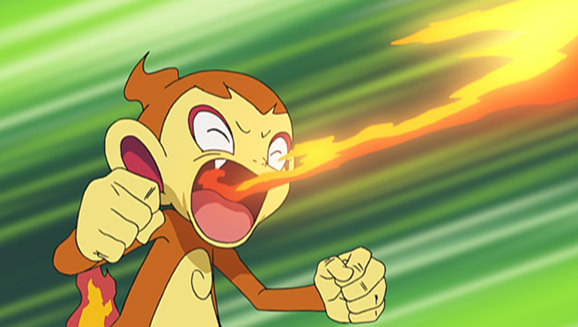 When Prinplup fires off a BubbleBeam attack, Ambipom uses Focus Punch to hit the BubbleBeam right back. 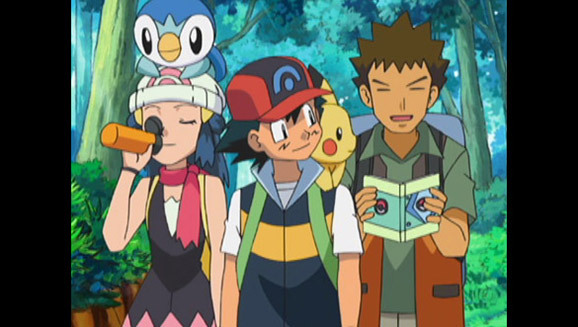 Kenny knew Dawn planned something like this, so he orders Prinplup to return the volley using Metal Claw. The two Pokémon hit the bubbles back and forth, just like Pokémon Ping-Pong! 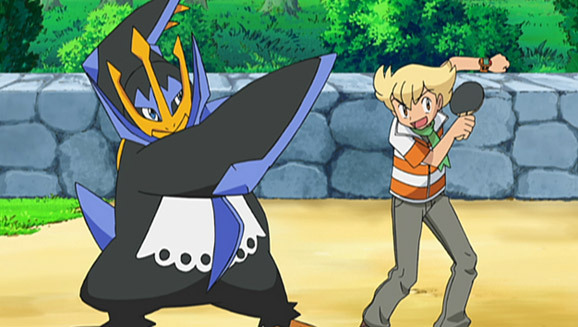 It's a well-played battle, but Prinplup goes on the offensive and uses Drill Peck to knock out Ambipom. 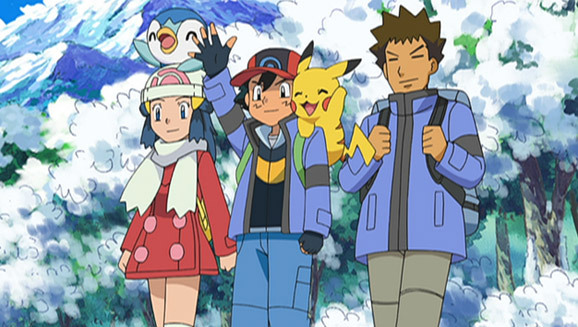 Now Kenny can get his fourth ribbon, and Barry gets an idea: why doesn't Dawn enter the upcoming Pokémon Ping-Pong Tournament? Ambipom likes the idea, so it's settled: the tournament will be their next event!